A smaller version of our Classic Arbor, the Standard Arbor is perfectly suited for a cottage style house or garden or for areas where space may be limited. 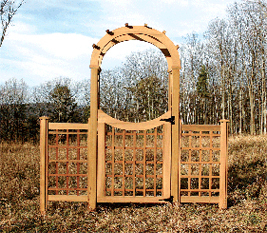 Available with the Standard Arbor Moon Gate and the Short Straight Top Extensions as shown here, or with our Curved Top Extensions as shown with the Classic Arbor. 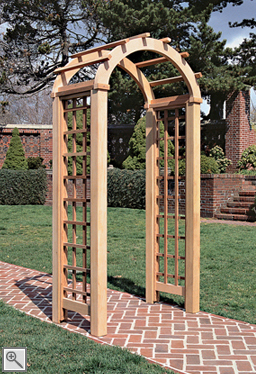 The opening for this arbor may be customized to either 3'6" or 4'2".